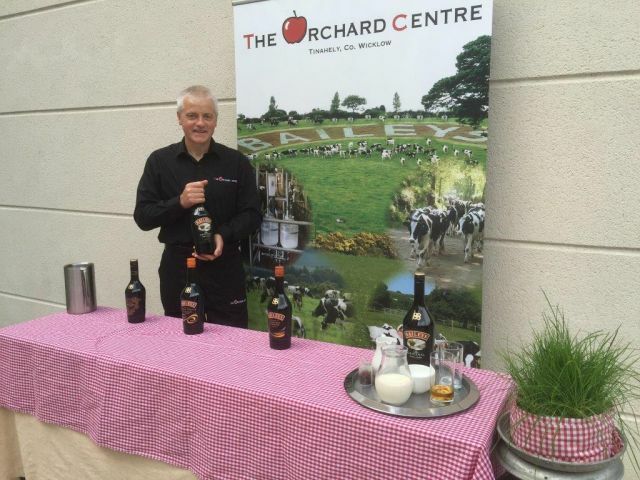 The Orchard Centre's dairy herd of 175 cows produce over 1.2 million litres of milk annually for the making of Bailey’s Irish Cream. For the past 15 years the Hayden farm has been the spiritual home of Baileys and fans from all over world come here to experience the secrets behind the world’s most famous cream liqueur. Your guests will join Joe & Michael Hayden as they demonstrate how the rich cream from the dairy herd is blended with a range of unique ingredients to create the unique taste of Baileys. The Baileys Making Workshop will last approximately 30 to 40 minutes and will include a visit to the Baileys Ladies, the milking shed and a demonstration on the different ingredients used to make Baileys. During the workshop guests have the chance to get a special glimpse of the true secrets of this magnificent liqueur? The workshop will include a demonstration on the mixing of ingredients used to make Baileys and a short history of one of Ireland’s must successful brands. Finally, guests will taste the different Bailey’s flavours now available, as well as some of the new and exciting ways to enjoy the world’s number one cream liqueur. We can also take the Baileys Tasting Workshop offsite allowing guests this unique experience in their own dedicated venue or hotel and is an ideal pre dinner or after dinner activity.